Tahereh Mafi has a special place in my YA heart, as her debut novel Shatter Me was actually my first official review. I was enraptured by Juliette, by her pure kindness in a hopeless place, by her need to be needed, especially by her relationship with Adam. I ended that review already excited for whatever Tahereh would hand us next. And, oh sweet honey bees, what we’re handed next is Unravel Me -- another incredible, pulse-pounding, exquisitely written piece of beauty that hits you soundly in all the right places. Apparently, Ms. Mafi has never heard of this “sophomore slump,” and we should all count our blessings for that. Juliette’s story continues at Omega Point, where she’s trying to learn to harness her overwhelming power. We get a bit of a refresher as far as characters and important plot points from Shatter Me, but it’s never clunky. Then, without warning or fanfare, Juliette is bombarded with twist after turn until she’s lost in a mental maze of her own making, fighting to prove that she’s worth the hassle, worth the time and energy Omega Point has spent on her. And there’s this epic war waging between the rebellion and The Reestablishment. I think I’m missing something… OH THAT’S RIGHT, two ridiculously attractively broken boys are desperately in love with her. So much of my raving opinion of Shatter Me applies here. The wild and winding words of Juliette’s mind still exist in Unravel Me, including the strike-throughs. It’s intense to a breaking point, and I couldn’t turn the pages fast enough. I adore the stylistic prose so much, not only because it’s gorgeous but because it fits Juliette so perfectly. She’s somehow so fragile and yet completely invulnerable at the same time. The world-building stands out more than before, complementing the plot we’ve already heard and expanding on it without getting in the way. There is one thing, though. While still anchored on the side of my dear Adam, I’m beginning to see the appeal of Warner. The reader is introduced to all new facets of both of the men in Juliette’s heart—Adam’s angsty, unstable side and Warner’s more human side-- and it gets me all kerfuffled. What does remain, though, is the unadulterated steamy hotness that this series is known for. If you thought that Shower Scene was something… oh, you ain’t seen nothing yet. And I won’t even tell you which guy it involves. So instead of picking a team, I’m going with Kenji. I took him for a one joke pony when we were first introduced, but after just a few pages with him, I threw that opinion right out the window. 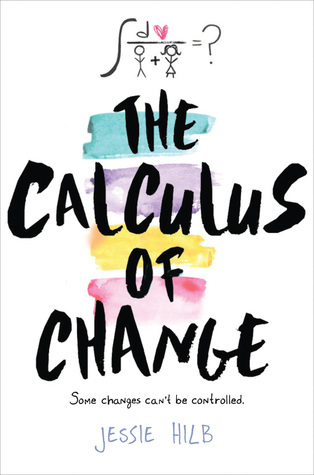 Kenji is hilarious, level-headed, and amazing, and I would like to carry him around in my pocket for those moments when I need the perfect comeback. I feel I’ve said so much and yet barely told you anything at all. You just have to find out for yourself. 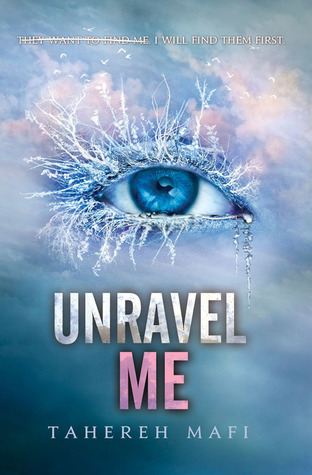 I have been looking forward to reading Unravel Me since the moment I finished Shatter Me. I thought I knew what to expect, or at least I knew what I was ready to read. Yet, I wasn’t prepared for this, not at all, and I mean that in all of the best ways. 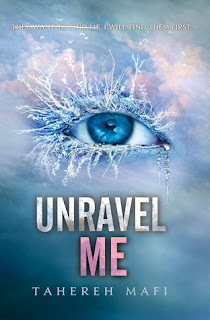 Just as I was shattered, I am now unraveled by Unravel Me. It's so very very interesting. Did you read Destroy Me as well? That definitely shows another side of Warner.